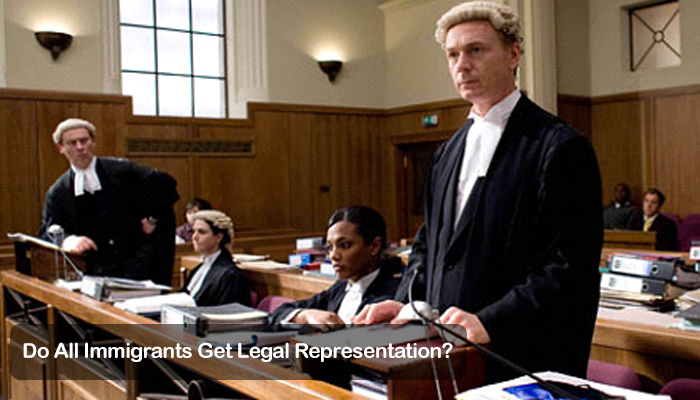 Home > UK Immigration > Do All Immigrants Get Legal Representation? Being approved to travel to and immigrate into the United Kingdom brings with it certain sets of privileges and rights. Most notable is the fact that a particular individual cannot be deported from the United Kingdom until they have violated the terms of their immigration privileges. This will differ depending on the visa that a person immigrates under and whatever rights that person has, that have been dictated by that visa. For the most part, however, immigrants to the United Kingdom are indeed provided the right to a fair legal trial should something dire happen or should they truly commit a crime. The legal system of the United Kingdom is unique to its nation, just as every other country’s laws are specific to their own borders. Lucky there are professional legal aid services available for everyone who resides in the United Kingdom, whether they are a citizen or not. In the United Kingdom, people who are unable to afford lawyers are provided public attorneys to represent them in the case that they break the law or need to stand trial for one reason or another. However, the legal representation is provided to immigrants is not universal across the board, There are going to be considerations to bear in mind depending on the criminal issue at hand, or depending on whether or not the immigrant may have committed previous crimes in their home country or in other countries. The rules around who will be transported back to their birth nation to stand trial can change depending on the criminal activity at hand. For the most part, however, anyone who needs assistance for a legal matter has access to legal aid regardless of whether they are an immigrant or a citizen of the United Kingdom. So Can I Never Get Legal Aid in the United Kingdom If I am an immigrant? If you are simply seeking information from a lawyer, or need to represent yourself in some sort of legal matter, there is a means for you to get help in the United Kingdom, even if you are an immigrant. People who have issues with landlords or rental issues, employment issues or the like, all have access to legal aid as residents in the United Kingdom, Regardless of their citizenship status, immigrants are all provided the opportunity to seek aid by experienced people who understand the law and the rights of an immigrant under those laws. This means that no immigrants to the United Kingdom can be unfairly treated simply due to their immigration status. Next Next post: Thinking about Immigrating to Canada?